The Saints may have lost their second preseason game to date, but tonight’s game was a vast improvement over last week’s sluggish performance against the Ravens. We should all be encouraged by what we saw on the field tonight on both sides of the ball. 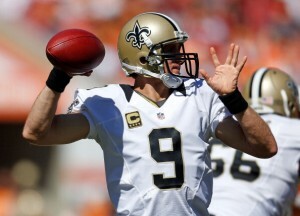 The Saints starters emphatically outplayed New England’s. The offense operated like a well-oiled machine, moving up and down the field seemingly at will and the defense played with a purpose. Perhaps the tremendous energy boost can be attributed to the fact that the game was played in the Dome. Or maybe it was because Drew Brees made his preseason debut tonight. And he did so in a blaze of efficiency. Playing the entire first quarter, Brees was 8 of 10 passing for 159 yards and two touchdowns, one of which was a beautiful 45-yard throw to WR Brandin Cooks. The other one was a 10 yard pass to TE Benjamin Watson. He finished the night with a perfect passer rating of 158.3! Drew showed what he can do when he has ample protection from his offensive line, which thankfully played very well tonight. Cooks continued his outstanding performance as he caught four passes for 117 yards and the one touchdown he caught from Brees. QB Luke McCown played the second quarter, completing 4 of 6 passes for 49 yards and one touchdown to TE Josh Hill. QB Ryan Griffin started the second half, going 6 of 8 passing for 85 yards, while QB Garrett Grayson played the entire fourth quarter, completing 7 of 13 passes for 80 yards. Mark Ingram showed his versatility as well, rushing for a team best 18 yards in six carries and snagging three receptions for 45 yards. Khiry Robinson continued to show his power and smart decision making abilities also. 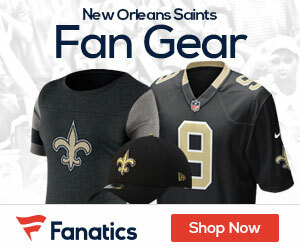 As a group, the Saints rushed for 55 yards in 20 attempts. Defensively, the Saints starters couldn’t have played a much better game. They held future-Hall-of-Famer, Tom Brady to just 2 of 5 passing for only 13 yards, a measly 2.6 yards per attempt! Hau’oli Kikaha and Cam Jordan brought consistent pressure that kept Brady from getting too comfortable in the pocket, which is definitely an area that needs improvement. I think we will see big things from Kikaha and Jordan this year. LeGarrette Blount didn’t fair much better on the ground against the stout play of the defensive line and interior as he finished the evening with 13 attempts for 15 yards. Pierre Warren had the lone interception for the Saints, picking off Jimmy Garoppolo and returning the ball 33 yards. It was hard to believe that the entire starting secondary didn’t play in this one because the guys on the field tonight looked better, sharper, and more focused for some reason. They say you can’t read too much into preseason games, but I was very impressed with the overall energy and purpose the defense played with. Against a lesser quarterback and team I might not be so encouraged, but we’re talking about Tom Brady and the defending Superbowl champions here! Any time you can shut down a prolific offense such as the Patriots have, you should feel good about it and gain confidence from it. It sure seems like a good start to turning things around. In the end, the reserves came in and got outplayed, losing the game at the last minute. It didn’t help matters that the Saints failed to convert on either of their three 2-point conversion attempts. The penalties were overwhelming again too (although the refs were a bit one-sided with their flags). At least the starting offense and defense cleaned their act up a bit this week as far as penalties go. But all in all, I’d say it was a good night for the black and gold. There weren’t any notable injuries to speak of and a few guys made their claims stronger as to why they should make the final roster. Brandon Coleman, Willie Snead, Marcus Murphy, or maybe even Anthony Spencer come to mind. I felt bad for Josh Morgan due to his costly fumble because he’d made a couple of nice grabs. But it is still preseason and he and others have a chance to set themselves apart and prove why they deserve to make the team. Overall, I thought the Saints played well, though not perfect by any means. But at least they have something positive to build on moving forward. They should feel good knowing that the starting offense was able to not only move up and down the field with ease, but they were able to get it in the endzone, one aspect that was lacking last season. And the defense was able to stifle Brady, who reportedly had picked the secondary apart this week in practice. For being just a preseason game, the first quarter in this one was critical to building confidence and answering lingering questions about this year’s squad. Let’s just hope that it helps to build momentum that they can carry into the regular season, not just in the Dome, but on the road. I’d love to see them recapture the swagger they had in 2009. They were truly special. They certainly have the potential to be that again.